It’s been an interesting campaign. There’s no shortage of commentary about the national campaign, so I will add little to it, suffice to say I’m pleased to see Justine re-elected in Putney and Jane elected in Battersea. Obviously it’s disappointing that we didn’t get the clean sweep and Sadiq Khan held on in Tooting. I only wish he and his supporters could have exhibited the grace in victory shown in the Putney and Battersea results declared before his, but I think I always knew that would be too much to ask. But moving onto the local results, I can’t help but think how good they were for the Conservatives and wonder how disappointed the Labour Party must be think weekend. 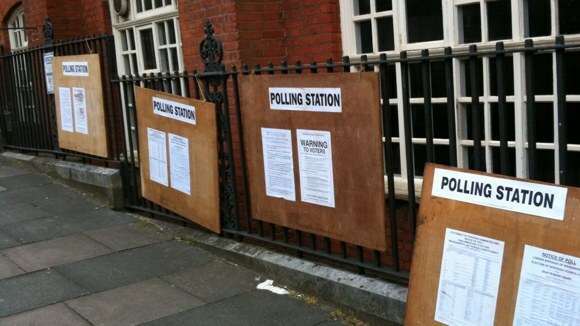 The combined general and local election poll was a great opportunity for them to increase their representation on the council but now they must bitterly reflect that it was an opportunity missed. Most of their gains came in Tooting, getting one seat that had been held by the Conservatives in Furzedown and two in Tooting ward. Fuzedown has always been an ‘odd’ ward, regularly returning a split and this is the first time in my memory that all three councillors have been from the same party. Tooting was always seen as a Labour safe seat and it was an upset when we took two seats there, defeating the then Labour leader Stuart King (who must also be disappointed with the night’s results for other reasons). This time our candidates in both wards put up a hard fight, but it wasn’t enough. However, Labour failed to make any in-roads into any of the other wards, most notably Bedford, where they must have been hopeful of a Labour gain, but found themselves 350 votes short of taking a seat and over 1,300 short of all three. Labour’s only other gain of the evening was in Roehampton. This was a ward we won in 1998 (totally against the odds, the Conservative candidates were so sure of defeat they’d gone for a curry instead of to the count) and have managed to hold ever since. But despite another fierce Labour campaign they only managed to gain one seat, instead of all three. And they totally failed to make an impression in West Hill, the other Putney ward they had been targeting. In Battersea no seats changed hands, Labour held onto Latchmere, but failed to take their target seat of Queenstown. I think this must be one of the few constituencies in London were all council seats were successfully defended, no mean feat and a credit to all the candidates and activists involved. The net result is a gain of four seats for Labour, giving them 13 councillors to our 47. But given that they must have been expecting at least 15-21 seats doing worse can’t be a good feeling for them. The challenge for them now is making sure they use what they have effectively. I do not think they were a strong team over the past four years, and were heavily reliant on their leader, Tony Belton (for whom I have a great deal of respect). Time will tell if this will change. Considering that the national election boosted Labour turn-out disproportionately, the local results were a good result for the Conservatives. Despite a hard fight I don’t think they had much of a chance in Tooting or Furzedown; I think losing one seat in Putney was the one disappointment.